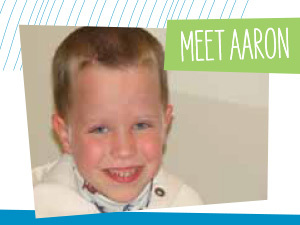 Meet Aaron – a CHSC success story! For Jamie Smialek and her husband Josh Stephens, what began as an initial commitment to be foster parents to a-day-old boy became a lifetime commitment to adopting and raising a family of 5 children. Jamie and Josh first came to Cleveland Hearing & Speech Center to obtain speech language therapy services for their son Aaron who had begun to stutter. Later, their youngest son Damon who was exhibiting a delay in speech development was enrolled in the parent-toddler group which helped him interact with his peers and assisted his parents in learning skills to work with him at home. In addition to Aaron and Damon, their older sister Kristen has also received speech-language therapy at CHSC. Reblogged this on Cleveland Big Wheel Relay. Previous Previous post: Registration is Officially Open for the 2015 Cleveland Big Wheel Relay! Next Next post: Huffy Green Machine Trikes Chosen Again for the 2015 Cleveland Big Wheel Relay!